Born June 3, 1921, in the Bronx, NY, Henry Stone began playing the trumpet in his teens, inspired by jazz great Louis Armstrong. Later at a military camp in New Jersey, he played in bands. After being discharged in 1946, he began selling records out of the back of his car in Los Angeles. Later he became a 78 rpm record salesman for the Bihari Brothers’ Modern Records, selling to jukebox owners throughout California. He was not solely employed by them as a salesman. He did sell for them but also had his own things going on the side… one of which was the ‘Indi Index’, the forerunner to the ‘Phono-Log’. In 1952, he established his own recording studio, Crystal Recording Company, and started a blues label, Rockin’, and a gospel music label, Glory, in Florida. A big hit on Glory was Rev. A. Johnson’s God Don’t Like It. Stone did some pre-stardom recording with Ray Charles at his Flagler Street Studio, in Miami, Florida. The resulting songs were released on Rockin and DeLuxe labels. Stone leased some of his labels’ other releases to DeLuxe Records. Most notable was the Cincinnati, OH, vocal group Otis Williams and the Charms. Originally recording for Stone’s Rockin’ label in 1953, the group scored a few hits: “Hearts of Stone” (number one R&B for nine weeks); “Ling, Ting, Tong” (number five R&B) and its flip side, “Bazoom (I Need Your Lovin’),” which went to number five R&B in January 1955; and “Two Hearts,” which hit number eight R&B in March 1955. 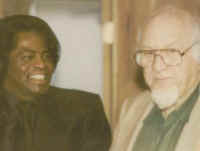 Stone formed Chart Records in 1955 and two music publishing companies, Pelican and Sherlyn. His roster included the Champions, the Evergreens, and bandleader/pianist Sonny Thompson. At the end of the decade, he formed two other labels, Glades and Marlin. In 1960, Stone cut “(Do The) Mashed Potatoes” by Nat Kendrick and the Swans for the Dade label. The group was James Brown’s backup band, the JBs, and scored a number eight R&B hit in February of that year. Many years later, Stone recorded Brown himself on his TK imprint: “Rapp Payback” in 1980 and “Stay With Me” in April 1981. 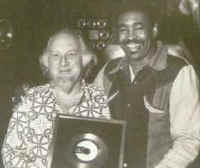 During the late ’60s, Stone began Alston Records, signing Betty Wright, Timmy Thomas, and Clarence Reid. Wright’s “Clean Up Woman” was a gold number two R&B/number six pop hit single in November 1971. Reid’s biggest hit was “Nobody but You Babe,” a number seven R&B hit in July 1969. 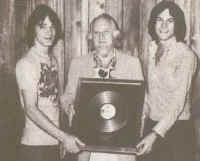 With the signing of KC and the Sunshine Band to his TK label, Stone found his pot of gold (and platinum) at the end of the rainbow. The band racked up five number one pop singles, four number one R&B singles, and gold, platinum, and multi-platinum albums. While working at a record store, young Harry Wayne “KC” Casey came in contact with Tone Distributors and TK Records. KC began hanging around Tone/TK. Stone gave KC the double-duty job of sweeping floors and packing records for shipment in the warehouse. 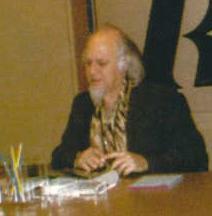 While packing records in 1972, KC met bassist and occasional recording engineer Richard Finch. The two teens formed a creative partnership. Stone let the young men work and experiment in the recording studio when it wasn’t booked and during after-midnight hours. The two cut numerous demos on themselves, just jamming. KC felt an almost paternal connection to Stone, who reminded him of his father. 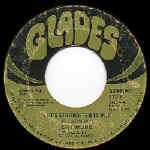 Soon afterwards at a wedding reception for Clarence Reid in January 1973, KC was exposed to junkanoo, the highly festive, heavily rhythmic, horn-punctuated musical genre that originated in the Bahamas. Later while accompanying TK artist Timmy Thomas to a Washington, D.C., concert as his assistant and booking agent, KC got an idea for a song after hearing the audience approvingly blowing whistles. The song, “Blow Your Whistle,” was KC and Finch’s first professional recording and went to number 27 R&B in September 1973. While cutting a demo on one of their unrecorded original songs, KC and Finch decided that the song was in a key that was too high for KC’s singing range. Stone and TK A&R man Steve Alaimo suggested that they give the song to singer George McCrae. Released in early summer 1974, “Rock Your Baby” rolled quickly up the charts, holding the number one spot on both the R&B and pop charts for two weeks during July 1974. The worldwide sales of “Rock Your Baby” totaled over six million singles. KC and the Sunshine Band’s second single, “Sound Your Funky Horn,” did a little better than their first, going to number 21 R&B in February 1974. With an approving nod from TK, KC and Finch brought in lead guitarist Jerome Smith, drummer Robert Johnson, and conga player Femin Goytisolo. The band’s debut LP Do It Good garnered little attention in the U.S. but took off in Europe due in part to “Queen of Clubs,” which was a Top Ten hit in both England and Germany. A band was hastily assembled for a European tour in 1975 and expanded to include eight more musicians and singers. The fourth single, “Get Down Tonight,” took off, hitting number one R&B in April 1975 and held the number one pop for two weeks in August 1975. Their second album, KC and the Sunshine Band, was released in July 1975. 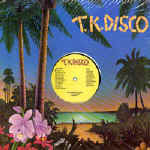 To capitalize on the band’s success, TK released instrumental singles by the Sunshine Band. An instrumental album, The Sound of Sunshine, was released in 1979. “That’s the Way I Like It,” another single from their self-titled album, echoed the success of “Get Down…,” hitting both number one R&B and pop in 1975. The LP went multi-platinum. In 1976, the band won five Grammys. “(Shake Shake Shake) Shake Your Booty” was the group’s third number one hit, topping the R&B charts for a month during July. The mega-platinum-selling Saturday Night Fever soundtrack included KC and the Sunshine Band’s “Boogie Shoes.” The band selling tens of millions of records brought prestige to the little independent record label based in Hialeah, FL, no doubt bolstering other acts on the label. In 1979, crooner Bobby Caldwell signed with TK Records. It seemed an odd signing at the time, as the label was the home to disco/soul/blues-oriented artists and Caldwell was a jazzy, romantic balladeer. 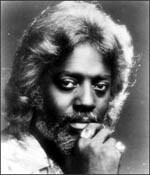 No matter, since Caldwell’s first single, “What You Won’t Do for Love,” climbed to number six R&B and number nine pop in the fall of 1978. Several tracks from his albums were in heavy rotation on R&B-oriented FM stations. Later, Caldwell and his manager Henry Marx started Sindrome Records, buying the rights from TK and reissuing the albums and new Caldwell material perfectly suited for the smooth jazz radio format. TK also struck gold with Anita Ward’s “Ring My Bell.” Written and produced by artist Frederick Knight (“I’ve Been Lonely So Long”), “Ring My Bell” rung its way up to the number one R&B spot in just six weeks and stayed there for five weeks. The catchy track stayed at number one pop for two weeks during summer 1979. “Ring My Bell” started a trend with its use of a “boingy” syndrome with several acts duplicating the sound on numerous records that came after it. DJ Jazzy Jeff and the Fresh Prince did a million-selling Top Twenty R&B/pop cover of the tune in 1991. Rock group Foxy’s “Get Off” was number one R&B for two weeks in summer 1978. In addition to being one of the more colorful characters in the biz, he’s one of the last independent label executives still standing who was totally in the mix with many of the heavyweight labels owners and artists from the 40s, 50s and 60s (label heads including Syd Nathan, George Goldner, the Bihari Brothers, Ewart Abner, the Erteguns, Jerry Wexler, Hy Weiss, Morris Levy, etc…). What can I say? From blues to R&B, doo-wop, soul, funk, disco and rap, this dude’s been AROUND! Stone began his career in the music industry in 1948 selling vinyl out of the trunk of his car to jukebox operators and along the way worked as a producer, promoter, talent scout, distributor and label owner. In the early 70s, Stone was pivotal in launching the the disco sound via his T.K. and Marlin labels. 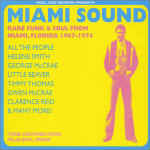 Over the years he also owned or had an interest in Alston, Dade, Glades, Deep City, Saadia, Rockin’, Chart, CAT, Deluxe, Deep City, Reid’s World and many more (much of this is well documented in the excellent liners for the recent Soul Jazz “Miami Sound” comp). Stone also worked with James Brown, Hank Ballard, Sam & Dave, Ray Charles, Lightnin’ Hopkins, Gwen and George McCrae, Timmy Thomas, Betty Wright, K.C. & The Sunshine Band, L’Trimm, The 2 Live Jews and tons more. Special thanks to DJ Monica Lynch – WFMU 91.1 FM Radio – NYC for writing the above text. She conducted an interview with living legend, Henry Stone that aired Friday, June 27th, Noon – 3pm. The show will be archived for future internet listening. Henry Stone is an Honorary Member of the Disco DJ Hall of Fame™ and a member of the Disco Hall of Fame™.